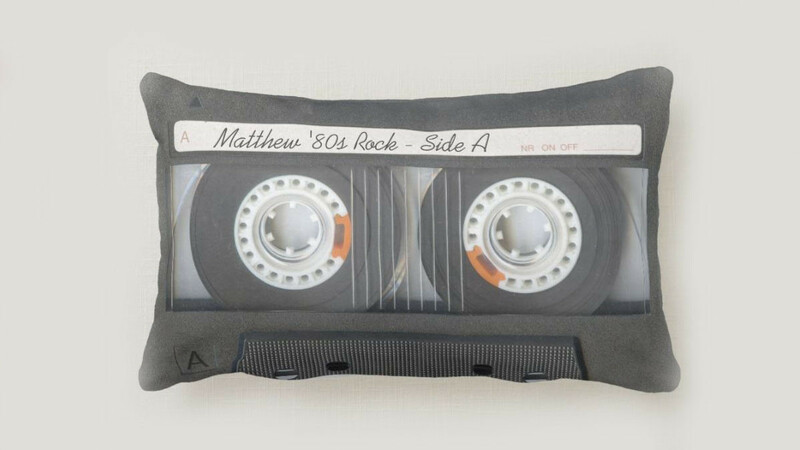 This is a cool idea as a gift for an 80s music fan or as an accent for an entertainment room. The text within the design can be edited to say anything that you want it to say. This throw pillow measures 21 inches by 13 inches and there are several fabric and design choices. You can choose from a throw cushion that is made from cotton, polyester or outdoor fabric. There is a hidden zipper or a zipperless option. Use the custom text to write a special message for a loved one or add names and dates.